Do I have enough wiper blades? Yeah, I think I have enough. NAPA had a 2/$5 sale last weekend so I bought three sets. Today, at Here Today I found the same NAPA wipers marked at 2/$3. 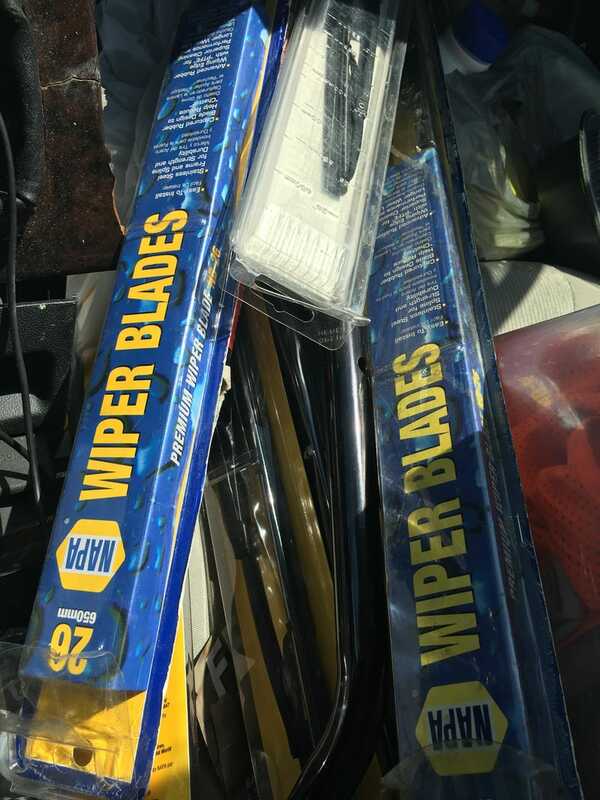 Since I have some difficulty finding 26" wipers it seemed wise to stock up, and now whenever they start to streak I can just toss them and not grumble about a $15 wiper lasting only a few months.